The U.S. Climate Action Network is a left-wing climate alarmist coordination center in Washington, D.C. USCAN is a key affiliate of the Climate Action Network-International (CAN-I), a worldwide climate alarmist complex based in Bonn, Germany and dating back to 1989. It now comprises over 900 climate activist groups in 100 countries. USCAN itself had 88 U.S. member groups as of 2015. CAN is one of the three core coalitions of the US national climate change movement as ranked by “centrality scores” in a peer reviewed study. USCAN’s administrative structure resembles a phony shell group. It is directed by a 21-member board comprised entirely of officials from wealthy far-left Big Green groups including Greenpeace, Union of Concerned Scientists, Center for Biological Diversity, Sierra Club, and Natural Resources Defense Council. USCAN’s staff of six has unremarkable backgrounds except for the executive director, who came from eight years with the elite World Wide Fund for Nature. USCAN and CAN-I operate full-time programs to influence global policy on climate change with alarmist views. They have close ties with United Nations delegates and communicate privately with UN leadership, but are most active during the United Nations’ “Conference of the Parties,” or COP, and “PrepCons,” Preparatory Conferences ahead of the COP itself. At such times, the network concentrates on swaying the U.N. negotiators and the public to support their preferences for draconian climate change policy. Since CAN-I was founded in 1989, Network leaders have become most-favored persons with United Nations leaders. During COP and PrepCon meetings CAN activists send a daily lobbying newsletter, ECO, to all diplomatic delegates and the media with full access to U.N. facilities that are closed to all other NGOs. Climate Action Network showed its true colors at the 2015 Paris climate conference in confrontations with an international delegation of climate realists. CAN called for the U.N. to eject all skeptics from the Paris talks, but without result, since the skeptic groups had for years held proper credentials from ECOSOC, the Economic and Social Council, the U.N. status controller. Activists were furious that the Heartland Institute, an American libertarian group, showed a new documentary called “Climate Hustle” that debunks claims made by environmentalists sounding the alarm on global warming. In a panic, CAN activists pasted more than 1,000 “Wanted” posters outside Paris luxury hotels, falsely accusing skeptics of “having ties to the fossil fuel industry”and calling them “climate change criminals.” CAN had to get the posters with the help of New York City-based global crowd broker Avaaz, which had organized hundreds of thousands of people worldwide to march in their home locations in favor of a strong climate agreement. Avaaz printed more than 1,000 wanted posters overnight and CAN activists posted them where they would catch the eyes of influential conference attendees. Avaaz volunteers also helped CAN by passing out flyers featuring the skeptic “criminal wanted” photos at metro stations near the conference. Members of the climate realist delegation told of “unruly fanatics” from Climate Action Network blocking entrances, where the Paris Security Forces had to remove them. All seven were asked by The New York Times to respond to the stunt and allegations; four responded to the emails. Mr. Morano sent back a photograph of himself, looking mock-terrified, crouching next to one of the “Wanted” posters that had been posted in the Eighth Arrondissement. Mr. Morano said he planned to go on as planned with the premiere of his new film, “Climate Hustle,” at 7:30 p.m. on Monday at the historic Cinéma du Panthéon. 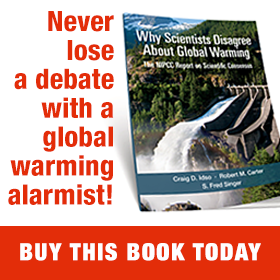 Mr. Horner, the author of “Red Hot Lies: How Global Warming Alarmists Use Threats, Fraud, and Deception to Keep You Misinformed,” noted that he had proudly quoted Greenpeace calling him a “climate criminal” on the cover of that book, published in 2008. “I’d say it’s getting a little long in the tooth,” Mr. Horner, who is known for filing voluminous Freedom of Information Act requests seeking information on climate scientists. Paris, December 7, 2015. International labor unions may be granted unprecedented authority to set and legally enforce domestic labor policy in the United States, activists participating in United Nations climate talks in Paris hinted Friday. The revelation was presented at a UN-sanctioned Climate Action Network panel discussion and press briefing as part of the United Nations Conference of the Parties (COP21) climate talks taking place in Paris. Kelly Stone, a senior policy analyst at leftist activist group ActionAid, a coalition member of Climate Action Network, said language in any formal climate agreement emerging from the COP21 talks will include specific language regarding human rights. Stone said the main source of contention is whether such language will occur in preambles or in the legally enforceable “operative language” of a final climate agreement. Stone emphasized the position of participating activist groups that human rights language must be legally enforceable upon all nations and guaranteed in the operative language of an agreement. Such an enforceable measure was not included in the final Treaty. Tax status: U.S. Climate Action Network, 501(c)(3). Based on the participation of 61 NGOs in the Network, U.S. Climate Action Network has an effective income of $1.454 billion, according to the research of Robert Brulle in Changing Climate Politics: U.S. Policies and Civic Action, p. 157. However, the accounting below includes only the money of the stand-alone organization. USCAN’s financial assets were $1,025,222 in 2014. USCAN’s total income in 2014 was $2.1 million. USCAN’s investment portfolio income was $512 in 2014. USCAN gave $941,000 in grants in 2014. USCAN paid salaries of $669,162 in 2014. USCAN paid executive director Peter Bahouth $147,805 in 2014. USCAN spent $5,776 on direct lobbying in 2014. USCAN spent $62,598 on direct lobbying 2010-2014. USCAN has no record of holding any seat on a Federal Advisory Committee. USCAN has no record of submitting regulatory recommendations to any federal docket. Source: Foundation Search. Includes related network grant recipients. Climate Action Network International is not registered in the United States and is not recognized by the IRS as a tax-exempt organization. It is domiciled at Charles-de-Gaulle Strasse 5, 53113 Bonn, Germany. Its 2014 Annual Report contains a financial page showing $1,416,290 revenue in U.S. funds along with other standard entries and identifies ten donor groups without amounts. The first Climate Action Network was founded in 1989, a year after the United Nations Environment Program (UNEP) and the World Meteorological Organization (WMO) created the Intergovernmental Panel on Climate Change (IPCC). The CAN founders, including Michael Oppenheimer, senior scientist with the Environmental Defense Fund, were activist European and U.S. scientists who had attended a U.N.-sponsored climate conference in Villach, Austria in October, 1985, designed to tackle whether the issue of “climate concern” could be leveraged to create global government action. The Villach conference’s activist scientists worked for several years persuading key U.S. officials to back the IPCC concept, but once the Panel was created in 1988, it was clear that by its “First Assessment,” scheduled for 1990, the IPCC would require an outside “coordinating committee.” This committee would provide a forum for developing a joint strategy that diverse global groups could campaign with if they were to reach the goal of “leveraging government action worldwide” into a climate treaty – the United Nations Framework Convention on Climate Change (UNFCCC). The Climate Action Network was the result. Climate Action Network was designed to be temporary, but as funding would only continue if CAN remained operative, the group transitioned into policy and activism network, publishing papers and reports in the wake of the Convention, such as Climate Change: a Reader’s Guide to the IPCC Report (1990) Greenpeace UK. This and other publications easily attracted donors to the project. Initially, Europe and the United States were the only regions specifically represented within CAN-I. There are now ten regional networks and ten national networks. CAN-I boasts a membership of 900 organizations in more than 100 countries and has received funding and support from the European Commission, the Oak and the European Climate Foundations, and the Belgian Environment Ministry, among others. The U.S. Climate Action Network formally incorporated in 2006, and is funded by several foundations familiar to those following American environmental activism, including the David and Lucile Packard Foundation and the Oak Hill Foundation. It’s incorporation in 2006 makes sense, as it was a watershed year for the American environmental movement as it transitioned into the national climate change movement. By 2011, there would be 467 organizations in the national climate change movement, many following CAN-I’s lead. Source: Climate Change and Society: Sociological Perspectives (Oxford University Press).